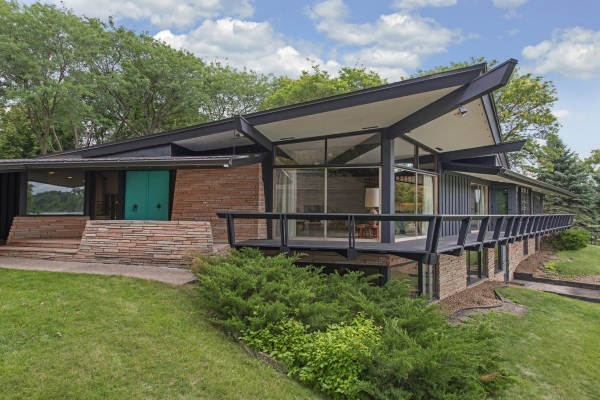 It’s as if Minnesota architect John Polivka wanted every corner, every standpoint in this house to be a design statement. Designed in 1961, impeccably maintained and valued at around $1.25 million, it is a study in mid-century modern architecture. All about lines, angles, light and integration with nature.